Patan Patola Sari: 900 years of History and a Status Symbol - Be On The Road | Live your Travel Dream! The fashion industry is quite well developed these days. There is no paucity of creative options, be it colours, patterns, fabrics, shapes, weave designs and digital prints, we seem to have it all. The fashion design schools, the technology, the modernization and the overall textile industry have aided to this cause. The surprising thing is that this very fashion industry used to thrive even 900 to 1000 years back. They made patterns, designs, colors and weaves that will rival any garment produced today. And all of these were made purely by hand. I am talking about the legendary Patola saris whose designs can be found in the paintings inside Ajanta caves, that were considered a sign of royalty by the queens and the monarchs from 11th century onwards and that is considered a major source of fashion all over the world. Considered to be created by god and that protects one from evil and ill health, they were treasured by the rich and royalty of Thailand, Malaysia, Thailand, Samarkhand, Basra, Damask and all the way till Rome. In India, Patola saris are gifted to daughters and daughter in-laws on the occasion of their marriages as a sign of good omen and they are usually worn on holy days. And they find mention in many literary texts, narratives, folk songs, traveler diaries and other documented pieces of history right from the 14th century. All of this started when the silk weavers of the Salvi caste from Maharashtra and Karnataka were invited by King Kumarpal of the Solanki dynasty in the 12th century to settle in Patan, the then capital of Gujarat. Even though, these weavers were making their craft since the 11th century, they really got a chance to hone their skills at Patan under the able supervision and help of the Solanki king. And thus the era of the Patan Patola sari began. This Patola sari was used to decorate the gods in the temples, it was used to gift to kings and queens and it continues to remain extremely popular as a premium wedding and designer garment even today. 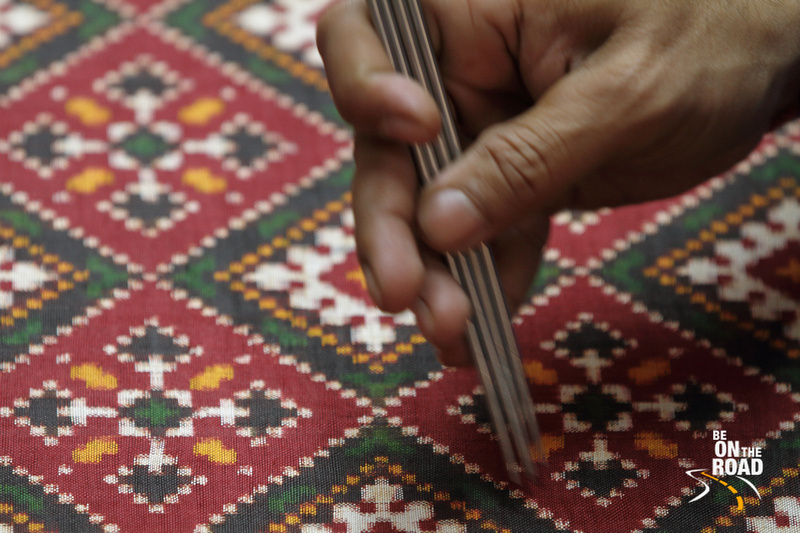 The Patola is a double ikat weave with no reverse side that has its origins in a very intricate and difficult technique of tie dying or knot dyeing known as the Bandhani process on the wrap and weft separately before weaving. These patola saris, completely handmade using pure silk and natural dyes in traditional Patola looms, are famous for their gem like colors, designs and durability. Usually, a saree takes anywhere between 6 to 12 months to create and their price starts at 2.5 lakh rupees. The colors, designs and shapes in the motifs of this Patola sari hold important meanings and they make the Patola as special as the double ikat weave itself. The feeling of saubhagya and security are imbibed into the Patola using the symbols of elephant, parrot, peacock, Kalas (jug), the human left and the square designs respectively. And not just that, these Patola saris are so durable that some of them have stood the test of centuries just like our monuments. The Patola saris of Patan are a true showcase of our glorious, rich and ancient heritage in textiles. We certainly need to experience, preserve and relish this rich culture of ours. 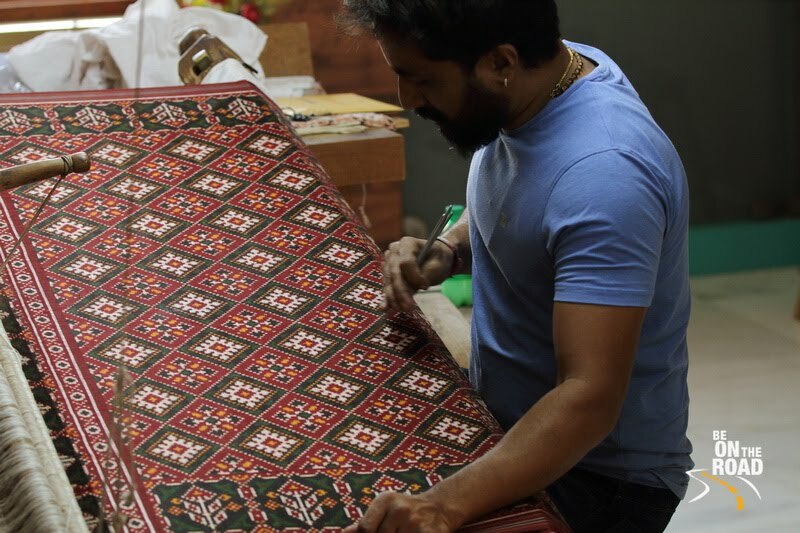 So, if you are a connoisseur of fine textiles, then this ancient fabric from the north western region of Gujarat is certainly bound to appeal to you. 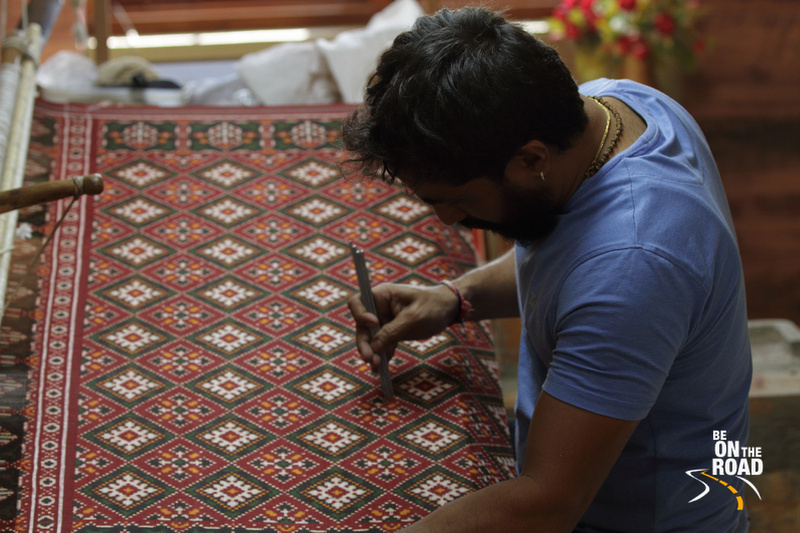 Go pay a visit to Patan and see it being made in the traditional, authentic and ancient way. And if you like it and can afford the price tag, bring back a piece of this 900 year old textile into your home, family and life! How to reach Patan: Patan is about 120 kms and 2 to 3 hours by road from Ahmedabad. The nearest airport and long distance railway station would be Ahmedabad. Where to stay: For luxury hotels, stay at Ahmedabad and do day trips. For budget options, opt for Patan. And if you feel like authentic homestay, opt for the homestays that are run by traditional Gujarati women in their villages and that can be booked on AirBnB. 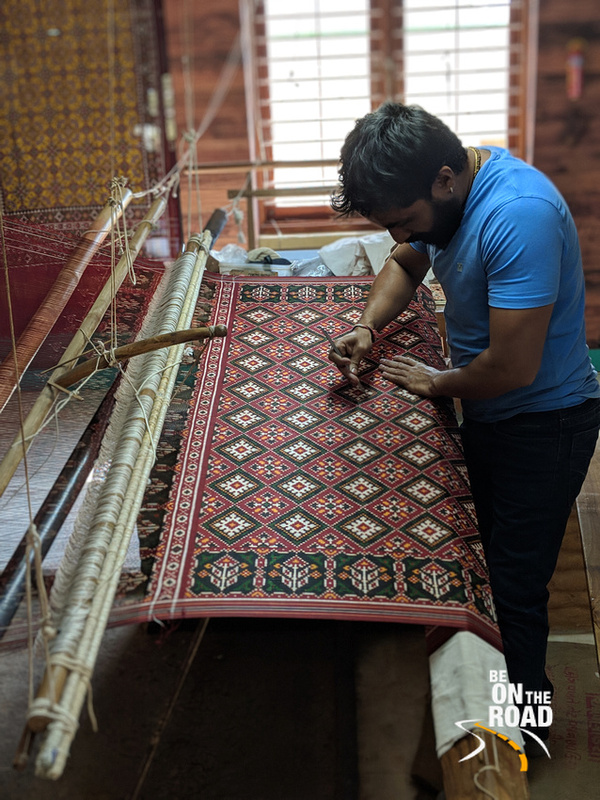 Where to experience the Authentic Patola Sari: A lot of people claim to make the Patola sari, but most of them are made using machines, cheap fabrics and chemical dyes. For the true experience, go to Patan Patola heritage museum on Rani Ki Vav road in Patan. Ask for Shilguru Vinayak K Salvi, the national award winner. You can reach out to him at 02766 232274/75, 02766 231369, +91 98987 75748 or +91 99794 62607. Nearby Tourist Attractions: The UNESCO World Heritage Site of Rani Ki Vav, the famous Modhera Sun Temple, the heritage town of Siddhpur and the UNESCO World Heritage City of Ahmedabad.